Great-granddaddy George has been neglected lately. I've been spending my genealogy time on other family lines, and was recently reminded of another family puzzle, which has absolutely nothing to do with George. This one is from my other maternal great-grandfather, William Henry Wanamaker's branch of the tree. 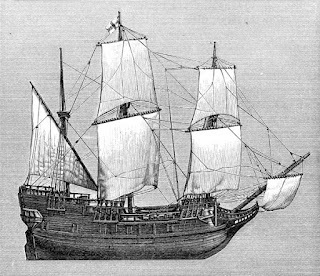 It seems like it was long, long ago in a galaxy far, far away that I wrote an article about whether or not I'm descended, via my Wanamaker line, from anyone who was on the first voyage of the Mayflower in 1620. It was an inconclusive article, mainly dealing with the question of whether or not Esther Alden, a descendant of John Alden, the Mayflower's cooper, really married Clark Bates, my 4th great-grandfather. If so, I'm a Mayflower descendant, but I still haven't found any reliable evidence to either prove or disprove it. If you're interested, the article is a PDF document, here. 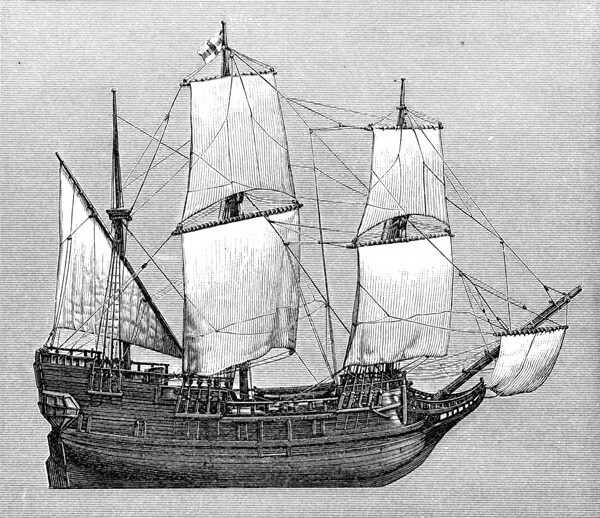 Among the crew of the Mayflower was a ship's pilot whose surname was Clark or Clarke. Some historians and genealogists say he was Thomas Clarke, born in 1599 in England; others say he was John Clarke, Thomas' father, born in 1575 in England. And still others say that the Thomas Clarke above was actually the son of another Thomas Clarke, who was the Mayflower's pilot. I've been having a new look at my Clarke/Clark line, and I'm about 98% sure that the Thomas Clarke born in 1599 and his wife Susanna Ring were my 9th great-grandparents, so if any of the above three scenarios is true, then I'm a Mayflower descendant (or at least, 98% of one). So do I need to bother trying to find out the truth about the Mayflower's pilot? Maybe not - but it would be satisfying to be able to trace a clear line between me and the Mayflower, rather than a murky one. Why? Mainly because my great-grandfather William Henry Wanamaker apparently believed that he was a Mayflower descendant, and I'd like to prove him right or wrong. And also because it's a challenge! So after reading several old documents that disagree with each other, I asked for some help from the members of the 'Mayflower Descendants' group on Facebook - and so far the feedback I'm getting strongly suggests that I need to double-check my Clark pedigree again. It seems that my 98% certainty could be 100% wrong, and Thomas Clarke and Susanna Ring might not have been related to me at all! And even if they were, nobody can say for sure if Thomas had any connection to the Mayflower Clarke. Back to the drawing board.